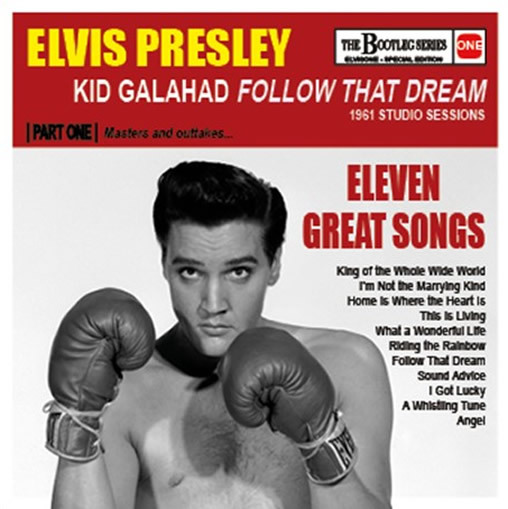 Two new Elvis cd's from the Elvis One label with the original mono masters, outtakes and all movie versions from the movies "Kid Galahad" and "Follow That Dream". A great addition to the FTD releases from these two EP's... Now you can find all known outtakes that were not released officially by Elvis' record company on these 2 albums*. This is the key to the most complete collection! *4 Outtakes were officially released on FTD, however, on this album you can hear take 8 of “This Is Living” and take 12 of “Home Is Where The Heart Is” in it’s complete form. Including a 12 pages booklet with photos and recording information.